Utz Classen is one of Germany’s most charismatic business leaders and turnround experts. He has held senior management positions with some of Germany’s most prominent companies, across a number of industry sectors. 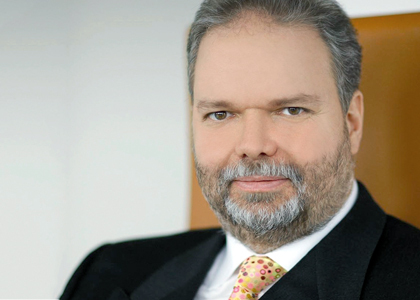 He is currently Chairman of the Supervisory Board of Syntellix AG, Member of the Supervisory Board of AWD Holding AG, Honorary Professor at the University of Hanover, Institute of Controlling, Professor of Management at the GISMA Business School, Hanover and Member of the “Consejo de Administración“, R.C.D. Mallorca S.A.D., Palma. After studying economics at the University of Hanover and at Oxford University, Utz began his career with McKinsey. He then moved to Ford Europe, where he was eventually appointed Director of Research and Development at VW, before becoming a Director at SEAT (part of the VW Group). In 2003 he moved to the the publicly quoted Sartorius AG and oversaw a major restructure of the company. He then joined the energy company EnBW, the third largest in Germany, and transformed the company to profit. He sold off a number of businesses and built an annual turnover of E18bn with a workforce of 18,000 employees. He has held many other senior roles in the energy sector and was briefly Chairman of Solar Millennium AG in 2010. Since 2001 he has been a Professor at the University of Hannover, and was invited by the German Chancellor Gerhard Schroeder to advise on innovation in Germany industry.